It´s time to announce my first stop of my Mediterranean Adventure! I don´t know if you can actually count Paris as Mediterranean, but it has been a place that I´ve always wanted to visit! Here are a few things I did, and also how they didn´t cost me an arm and a leg! I Stayed in a Hostel I chose to stay at the BVJ Champs-Elysees Monceau because it was the closest hostel to most of the attractions I wanted to visit. Plus, it was one of the few Parisian hostels that offered free breakfast! Sure, this hostel had its downsides. 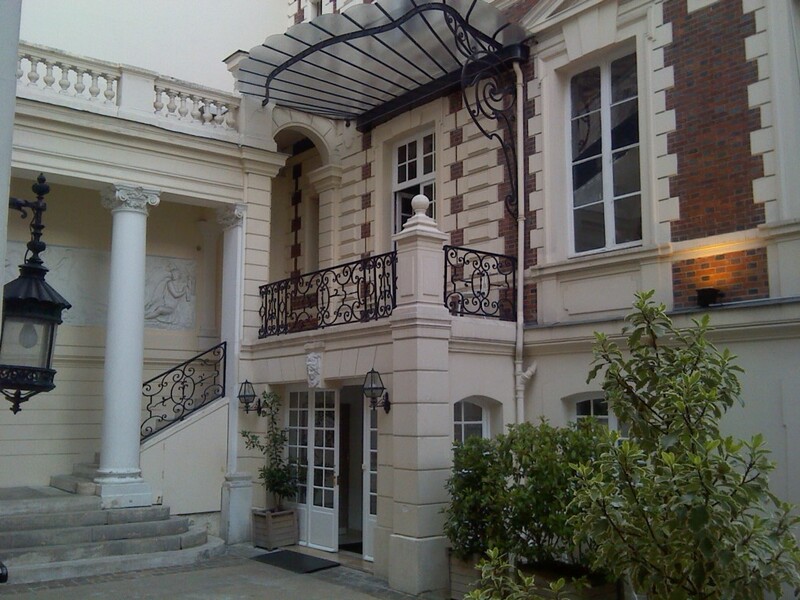 It was once the mansion of famous Parisian painter Henry Gervais, which was super cool, but the downside of that was that since this historic high-ceiling mansion couldn´t undergo too much remodeling, everything echoed at all hours of day and night. But I think the good definitely outweighed the bad as they offered free detailed city maps, free big breakfasts, free WiFi, and plenty of opportunities to meet other travelers! I Climbed the Eiffel Tower I saved hours of time with this by choosing to climb- yes, actually climb- the Eiffel Tower instead of taking the elevator up. The two elevator lines stretched across the entire base at all hours of the day, but the lines for the stairs were virtually non-existent. Not only is this a great way to save time, but it saves money, too. A ticket for the stairs is 5 euros, but after convincing the ticket salesman that I was indeed under 25, I got in for just four. You see the same sights anyway, which are incredible! Plus you sound pretty cool for saying you actually walked up all those steps! The stairs ticket allows you to the first and second levels, but you have to take an elevator to the top level. I chose not to do this. For one, the line to buy this ticket was incredibly long, but also because Paris is so flat, you don´t get to see much more from up there. I Smiled at Mona Lisa and Waved at Venus de Milo The Louvre is huge! I spent the first several hours inside the museum simply wandering from room to room and marveling at all I found. But of course, there is one thing that most people come to the Louvre to see. Everyone wants to see Mona Lisa smile! It is totally worth seeing and snapping a selfie with, but beware: it involves waiting in a crowd of hundreds and you really have to push if you ever want to get to the front, where Mona Lisa is several feet away and protected by thick bulletproof glass. By the time the security guard forces you to leave, you are really sweaty, but it´s probably not just your sweat! I am totally glad that I saw her, but I´m okay with never going through that ordeal again! 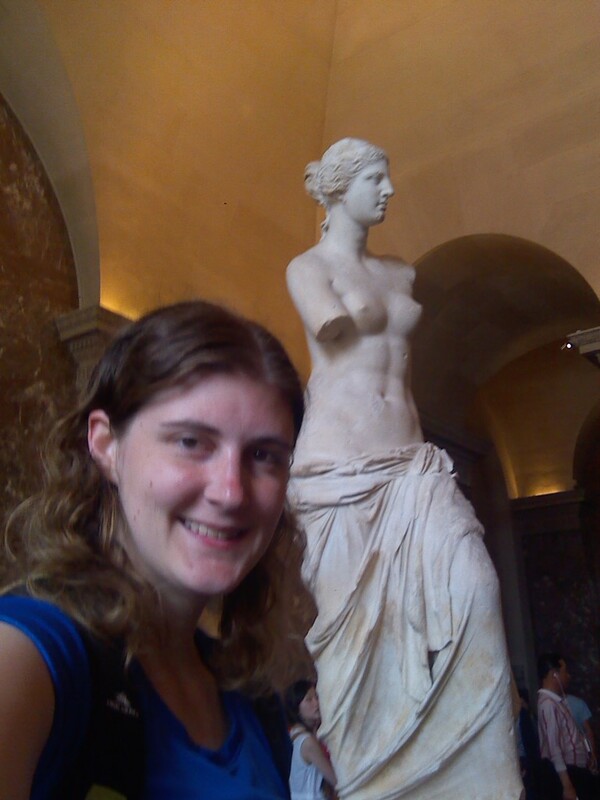 The other art on my must-see list was the Venus de Milo. There is also a pretty big crowd around this one, but because it is a sculpture, you can see it from all angles. You can also get much closer to her! When I didn´t feel like being in a crowded room, there were plenty of places around the museum where I was the only one around. Eventually, the Louvre outlasted me, and I left much of the museum unseen. So I may go back there someday, but I´ll pass on the Mona Lisa! I Saw Vincent Van Gogh and Other Art While the Louvre is great, I preferred the Musee d´Orsay simply because it was less overwhelming. I still got tired at this museum, but this place actually had napping couches! I don´t know if they were intended for napping, but the unique octopus-like couches on the top floor opposite the clock had one-person seats that made you practically lay down, and I was not the only one who took a quick snooze there! But seriously, the art is great. 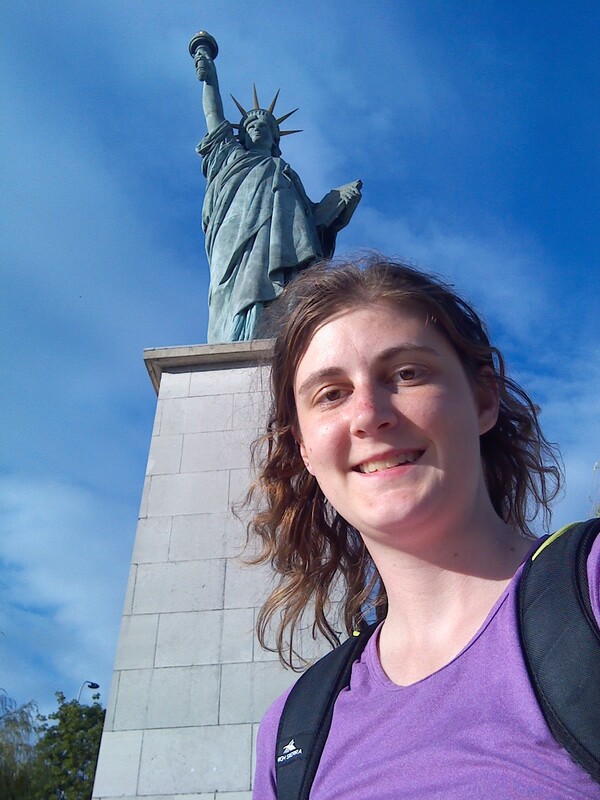 There is a small Statue of Liberty made by the same person as the original, and a self portrait of Vincent Van Gogh! 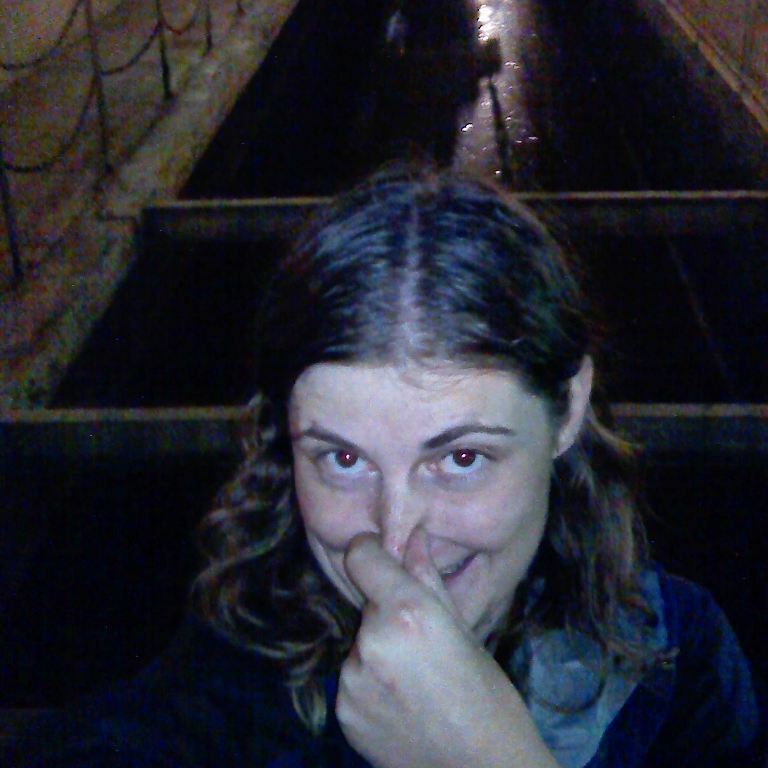 I Took a Sewer Tour Yes, it smelled. But this was probably the most unique attraction I visited! Paris has a very old sewer and water system, and it´s amazing that it was created progressive enough to hold up all these years. Plus, I´m really thankful that Paris has this so that the Seine is no longer full of waste! I should mention how I could afford all these museums and attractions. 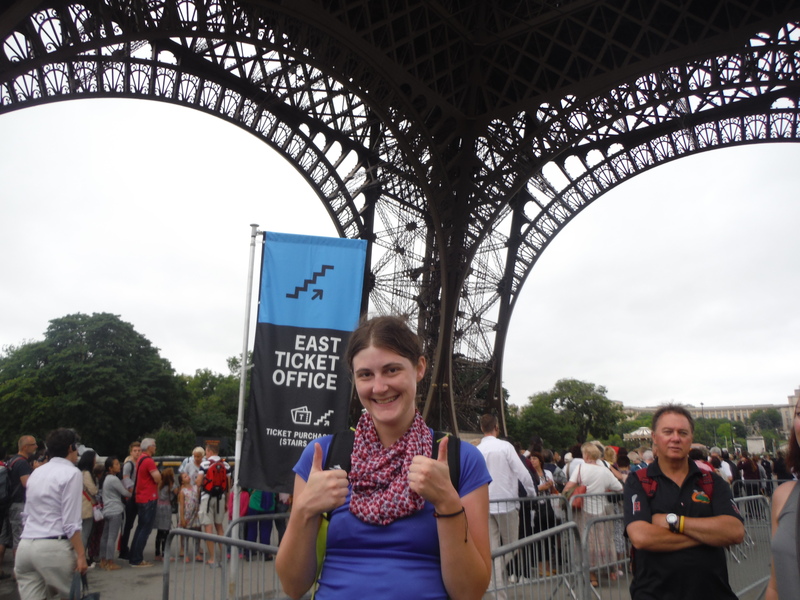 I actually did not pay an admission fee for anything in the city other than the Eiffel Tower! 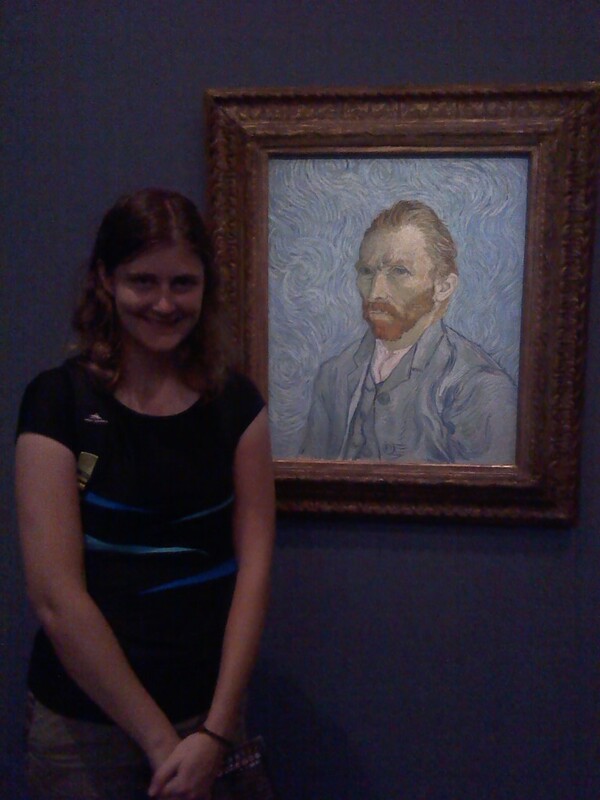 The rest was covered by my Paris Museum Pass. I picked up a four-day pass for €55 at the airport´s visitor center. They also sell passes for two or six days, but I found four days to be the perfect amount. I got to do everything on my must-see list, plus I had a little time to discover little-known features, such as the sewer! As a bonus, the pass allows you to skip the line at most attractions, especially beneficial for long lines at popular places like the Louvre! I Hung Out at the Arc de Triomphe I think the best views of Paris are not found from the Eiffel Tower, but rather from the top of the Arc de Triomphe. The Arc is situated in the center of the largest roundabout you´ve ever seen! But I didn´t have to worry about crossing this nearly lawless route. There is an underground tunnel at the end of the Champs Elysees that goes under all that traffic and ends up at the base of the Arc de Triomphe. It´s free to stroll around the base or admire the Tomb of the Unknown Soldier. You can buy a ticket to take the long spiral staircase to the top, or just wave the Museum Pass and get in for no extra cost. 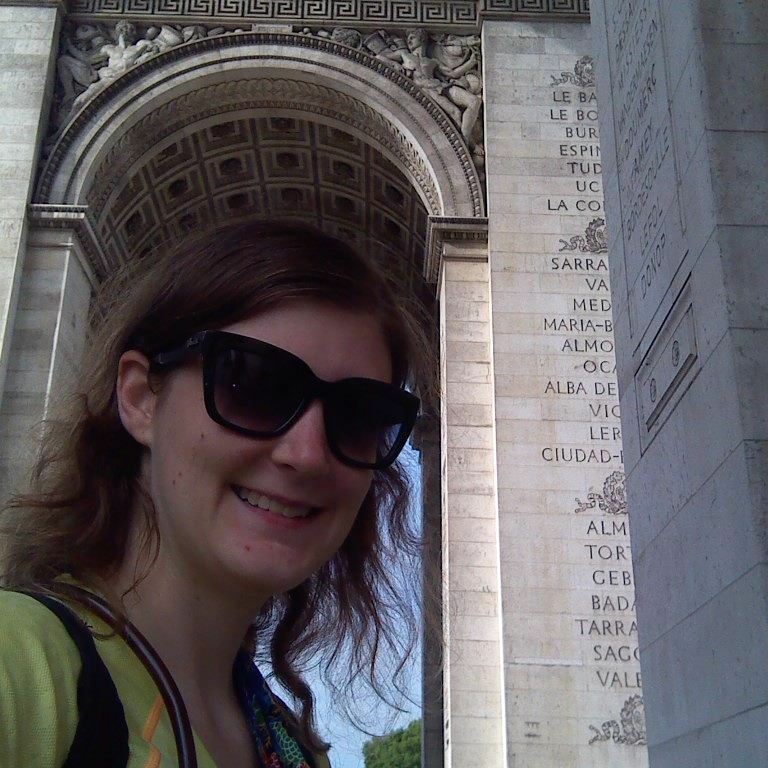 I Strolled the Champs-Elysees (and learned how to pronounce it!) This could be an expensive endeavor if you don´t do it right. I did spend a little money at two different places. The first shop I bought from was McDonald´s, of all things! But this McDonald´s has a special McCafe where you can get what I think are the best macarons in Paris. 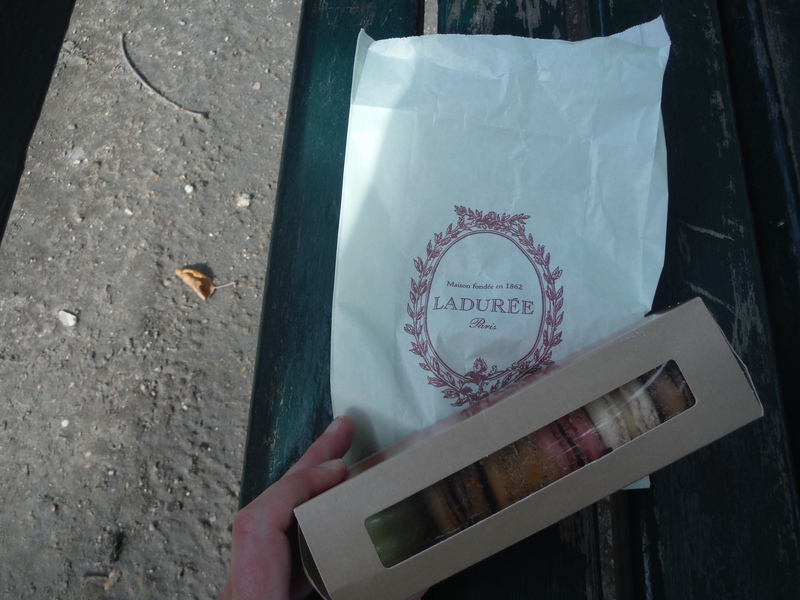 I know this because I also bought a raspberry macaron from Laduree and did a comparison. Besides sampling the local cuisine, my favorite thing to do on the Champs Elysees was visit the multiple auto showrooms. Even if you aren´t that interested in cars, these places are a sight to see. One showroom had movie cars from Jurassic World. Another had an attraction that gave you the illusion that you were standing on the ledge of a skyscraper! A couple of them offered free photo booths. Other favorite places to window shop at included Sephora, A&F, and The Disney Store. As long as you´re just marveling at the size of the store and not picking up items to buy, the Champs Elysees can be an inexpensive experience! 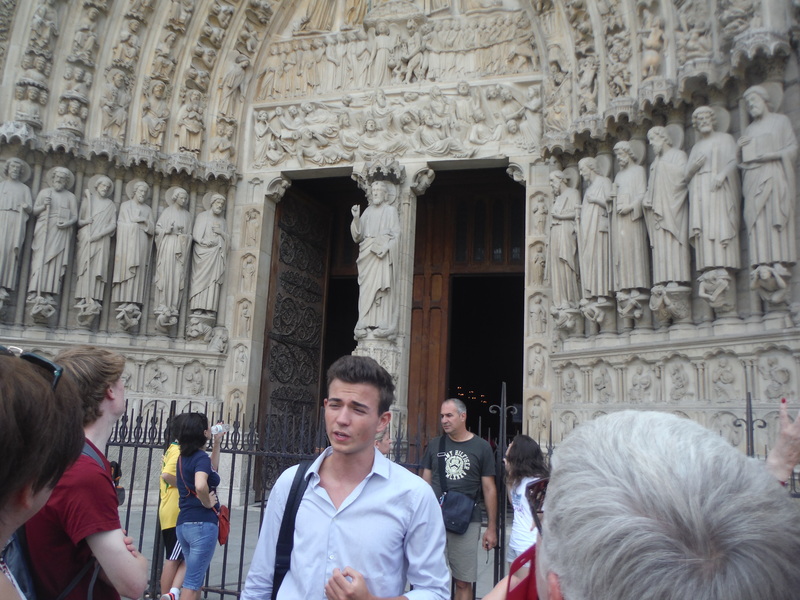 I Took Two Guided Tours Using a walking tour company called DiscoveryWalks, I had the opportunity to explore the Notre Dame and Montmarte regions very in-depth. The local tour guides will tell you secrets and show you places you won´t find in any guidebook! They also give you practical tips, like where to fill up your water bottle for free. (The green fountains aren´t just for decoration!) The DiscoveryWalks tours I chose were tip-based. After how wonderful both guides were, I wished I had brought more money in my daypack to tip with! The only thing that these guides (both male) weren´t good at was rocking the company´s pink vest. They both expressed how awful the color was and took it off as soon as the tour begin. Maybe sometime down the road, DiscoveryWalks can adopt a more masculine color! I Saw Notre Dame from Top to Bottom Most people want to visit the top of the Notre Dame because they know Quasimodo had great views. Some people go inside the free cathedral. Even fewer explore the depths below that show the remains of an ancient city. I actually didn´t know that crypt existed until I saw it listed on my Paris Museum Pass! I did have to wait in line for about an hour to get inside the stairwell that goes to the bell tower. I think it was worth seeing the bells up close, and getting a completely different view of the city. But I think my favorite part was going inside the actual cathedral. It looks like a long line to get inside, but it moves quickly. Inside you´ll find lots of art and relics, most of which you can photograph! And for those of you who have watched the Disney cartoon, I do have to tell you this: as I was walking off the island that Notre Dame is situated on for the last time, I realized that I had completely missed my opportunity to yell “SANCTUARY!” So if any of you go there, will you do me a favor and shout that for me? I Visited Other Historic Cathedrals, Too I probably could have spent my entire time in Paris just cathedral hopping! Actually, I´ll probably visit lots of cathedrals throughout Europe if they´re half as good as the ones in Paris. As wonderful as the inside of Notre Dame was, it wasn´t nearly as exquisite of that of Sacre Couer. I also attended mass twice in Paris, once at Notre Dame, and once at a little historic cathedral on the same hill as Sacre Couer whose name escapes me. I´m not Catholic, and I don´t speak French, so I was pretty lost during both French-speaking Catholic masses, but the people there are very welcoming of everyone. It´s also easy to take a hint from everyone around you if you sit in the middle or the back of the sanctuary and just stand, sit, or kneel when everyone else does. You could try to sing or respond with everyone else if you´re ambitious. Even when I had the words in front of me, I usually ended up just moving my lips. I Relaxed Like a Parisian at the Parcs There are so many parcs in Paris! Of course, the most popular ones among travelers are those surrounding the Eiffel Tower. But after getting tired of being asked to sign fake petitions there, I went out and explored the other parcs. In these parcs, you´ll see the locals getting together and lingering over a picnic. At one parc, I sat down to eat a crepe nearby a group of young Parisians. 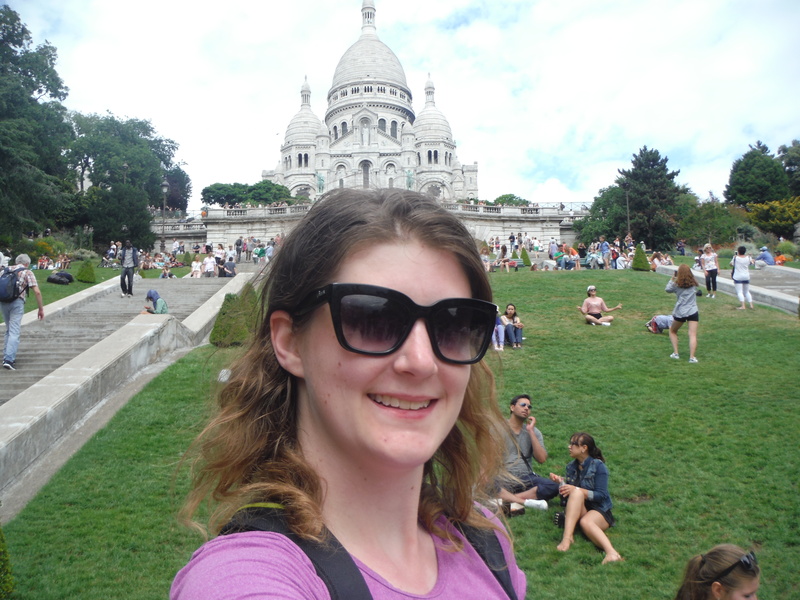 After I finished, I walked around the Sacre Couer, walked down to Moulin Rouge, met up with a DiscoverWalks group, toured with them for nearly two hours, and ended up at the same parc I had eaten lunch at. Guess what? That same group of Parisians was STILL THERE enjoying lunch! 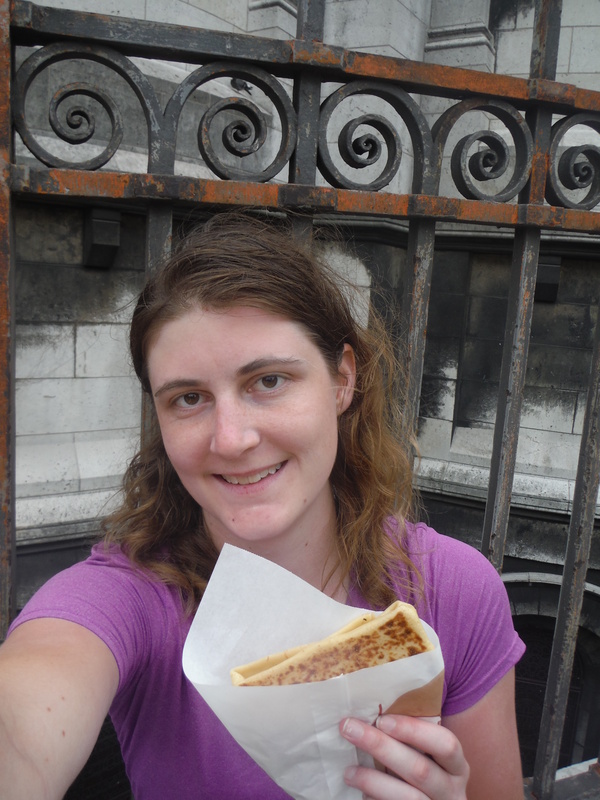 I Ate a Lot of Crepes Other foods consumed included quiche, baguettes, and croissants, but my favorite was definitely crepes. There are street vendors all over Paris who sell these wonderful creations, and they can be eaten for snack, dessert, or even a meal! My favorite spread on the crepes was Nutella, but the cheese was also delicious. I tried to buy crepes from vendors who would pour out crepe batter and cook the crepe right in front of me. There was just something more authentic to that than eating the mass-produced packaged crepes. I ate a crepe on most days, but there were also a few times when I went grocery shopping. That was an experience in itself! My favorite store ended up being a chain called Monoprix. They bake their bread and pastries right there in the store. If you buy a food that needs to be heated, you can even use their microwave! I mostly just bought Nutella and produce. 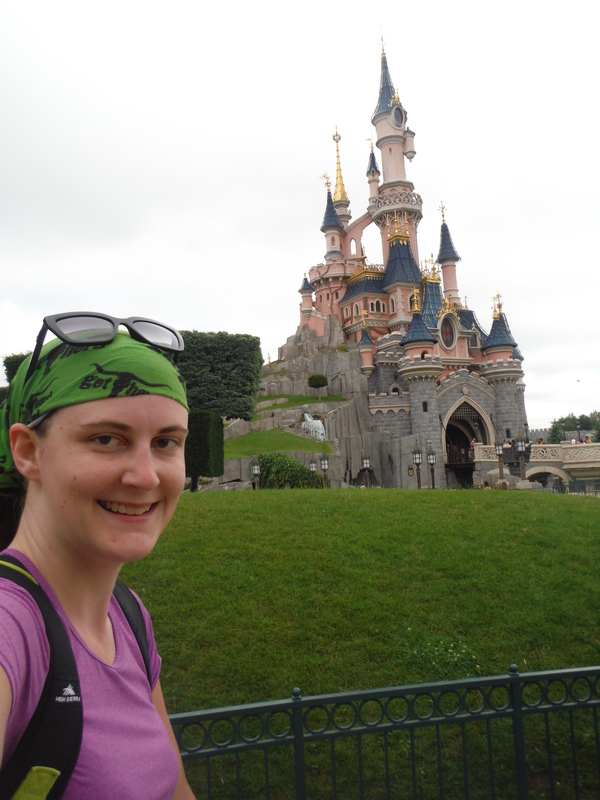 I Went to Disneyland Paris It´s the most magical place on Earth! Well, it is in Europe at least. After going to all the Disney parks in the United States (save for California Adventure), I wanted to live as a Disney fan in another country. Disneyland Paris consists of two parks: the classic Disneyland, and Walt Disney Studios, which is most like the Hollywood Studios park in Florida. You may be wondering how Disneyland could possibly fit into budget Paris. A day at Disneyland Paris is actually cheaper than a day at the original Disneyland. I wanted to get a Disneyland Paris Express ticket. Not only does this include entrance into both parks, but also offers bussing to and from several locations in Paris. If you live in the USA, you can buy one of these tickets online for $135. But when I went on the French version of their website, I noticed that they sold this same ticket for €99. That´s a lot cheaper! In order to get the lower price, I used the French version (translated into English, of course) and entered my hostel information when it asked for an address. You print the ticket from your e-mail anyway, so it doesn´t really matter what you enter for the address. After I bought this, I didn´t buy anything else from Disneyland. I brought my own snacks to sustain me, and I even got a free souvenir by asking at Guest Relations! I Took the Plane, Bus, and Subway I didn´t take the subway until my very last day, when I had very few other options to get to the bus station. I was a little nervous since it was my first time riding any subway. I was confused when buying the ticket and had to get some help, but after that, it was almost as if I´d been riding the metro for years! It´s only €1.80 for most of Paris. Places outside of the city limits, like the airport and Disneyland, do cost more. To save money coming into Paris from CDG, I found a bus service called EasyBus, which is the absolute cheapest way to get from the airport into Paris! I also took the Disneyland Paris Express bus to get to and from Disneyland. But other than that, I did everything on foot. Yes, it was exhausting, especially considering Paris´ unexpected heat wave. However, this way I was able to experience so much more of Paris that most tourists miss! It saved a few Euros to boot! I Saw the Last Leg of Le Tour de France! 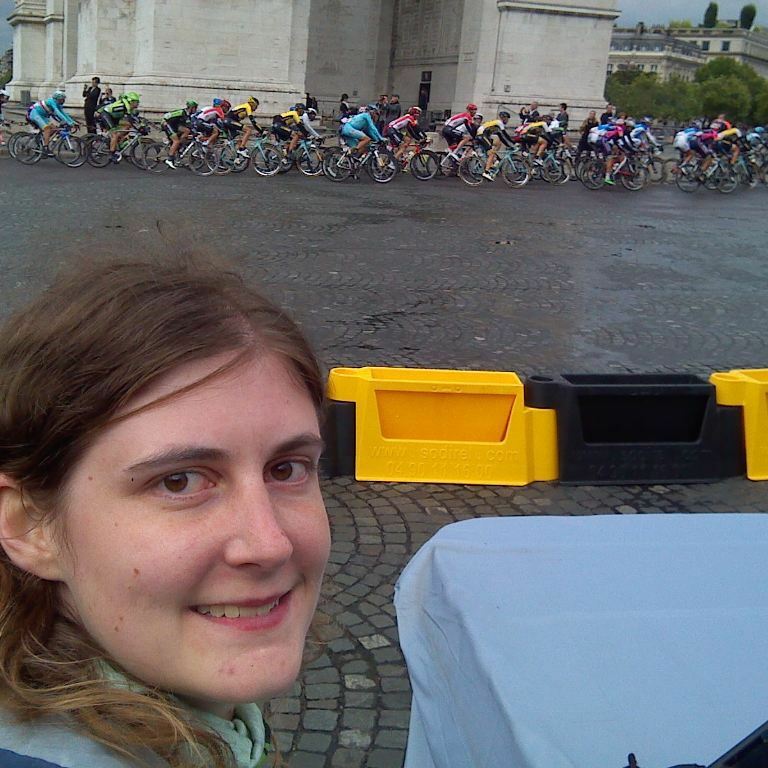 When I found out when Le Tour ended, I decided to stretch my time in Paris just so I could catch it.I was curious what the best place to watch it from was. I even asked on traveler forums, and most people responded with snotty things like “just watch it on TV” or “the best place to see it from is inside your hotel room”. NO! It was absolutely amazing to see it from nearby the Arc de Triomphe. It was amazing just in itself to see that roundabout free from traffic! But seeing a bunch of guys bike around the Arc several times is not all that there is to do. Before the final stretch begins, there is a women´s version of Le Tour de France, which is just as exciting to watch. Between races, there is a sponsor parade with some pretty crazy vehicles! And during Le Tour, when you can´t see the cyclists in person, there are several screens situated around that stream the race live. However, I think my favorite part was going through the street fair. Companies were giving away delicious samples like crepes, oysters, fruit, breads, and Paris Cola. I shouldn´t have even bothered to pack a lunch! 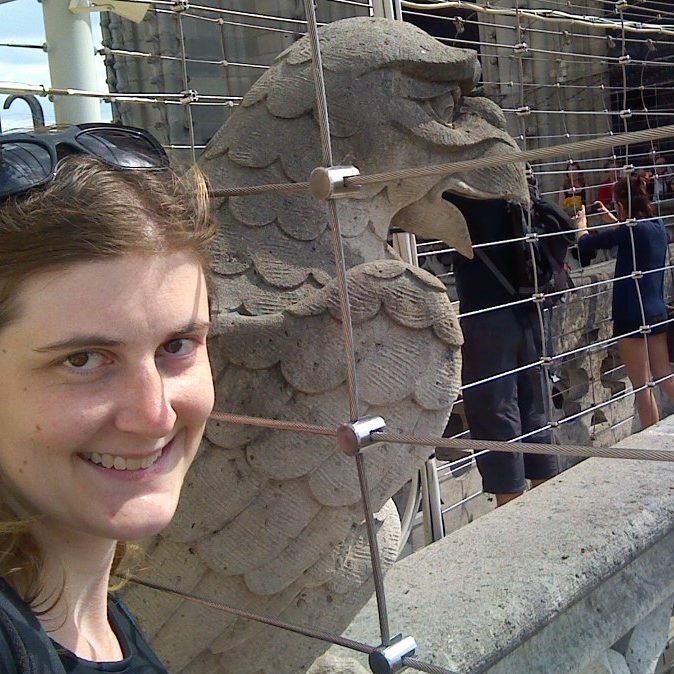 Just so you know, I was not sponsored or comped for anything I did in Paris. I had to fund all my time in Paris completely on my own. 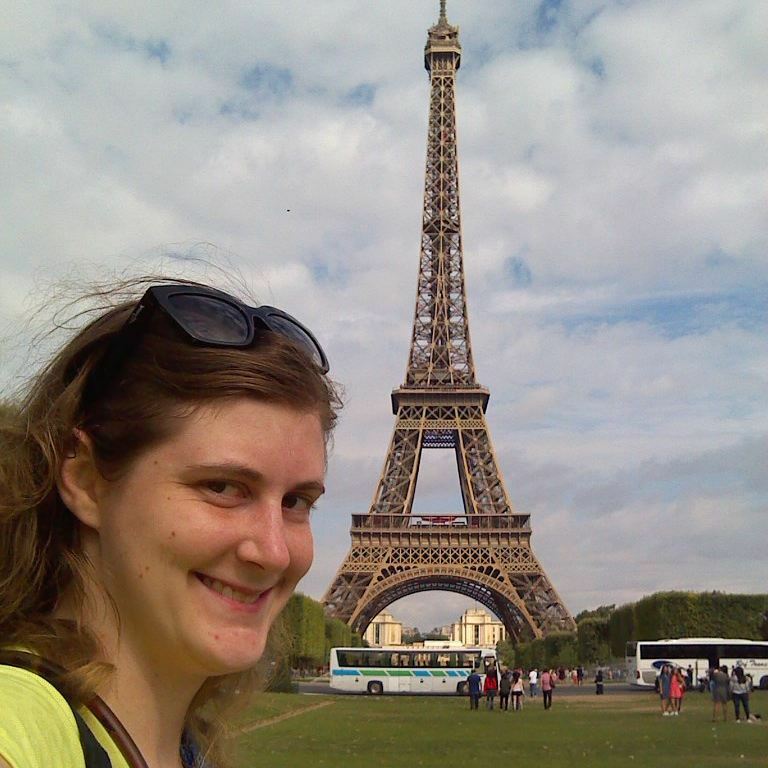 If I can conquer Paris on a budget, I know that you can, too!